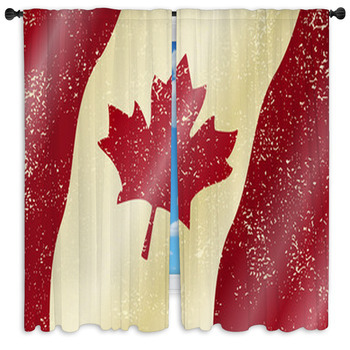 Show your love of all things Canadian with VisionBeddings custom Canadian flag window curtains. 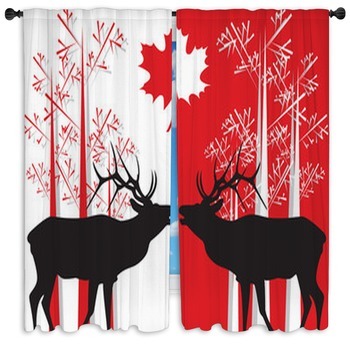 These designs will display your Canadian pride in style and can be adapted to fit any window size. 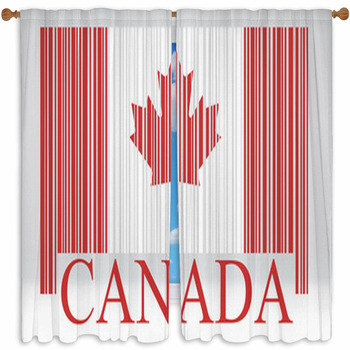 Whether you're a traditionalist who wants drapes that have a conventional flag design or someone who prefers to show off their love for the country of moose and maple syrup with something a bit more unique, VisionBedding has the perfect curtains for you. 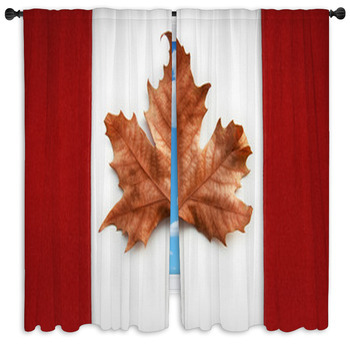 Canada has given the world some great things ice hockey, for one. 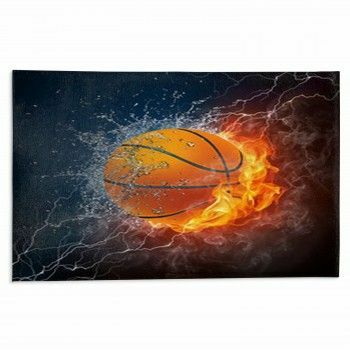 Hockey is Canadas national sport, and the country's hockey players are routinely ranked among the best in the world. Canada is also known for its excellent maple syrup. 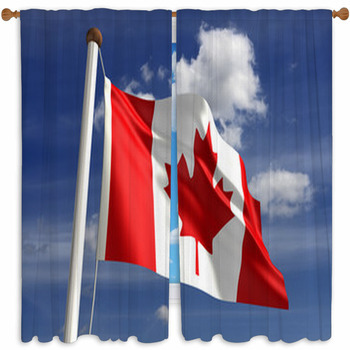 In fact, this sweet treat and the tree it comes from is such a symbol for the country, that a maple leaf is prominently displayed on the flag. 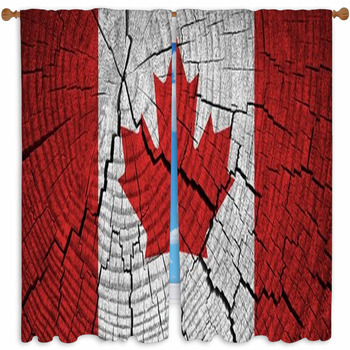 Of course, Canada is more than just a sum of its parts. 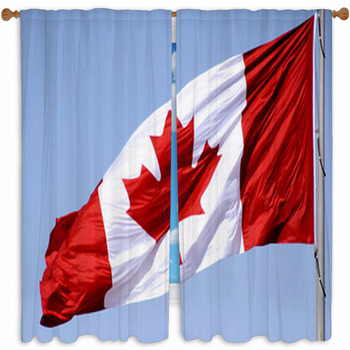 From Toronto to Montreal, the Canadian people have an independent spirit and a love of the great land that unites them in a common cause. 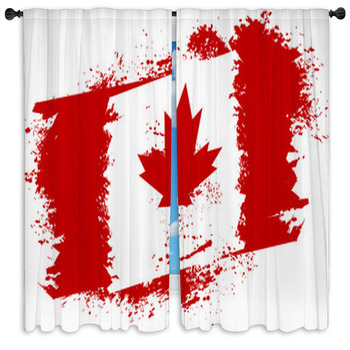 And you can display your feelings for this great country with a Canada themed home decor. 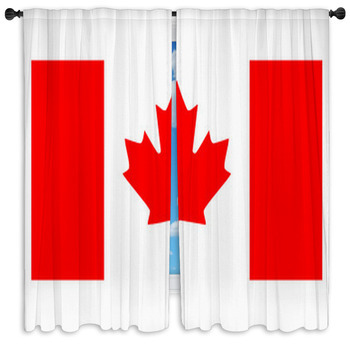 Whether you're a Canadian born and raised or you just have a soft spot for the country, VisionBedding can help you show your pride with these stylish designed drapes. 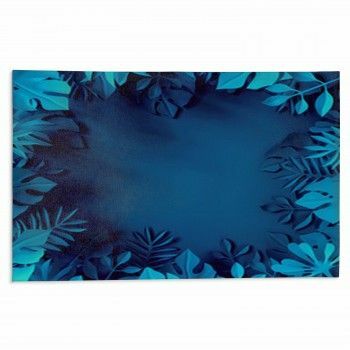 Our manufacturing process faithfully reproduces the bright colors and crisp lines that you see in our images. 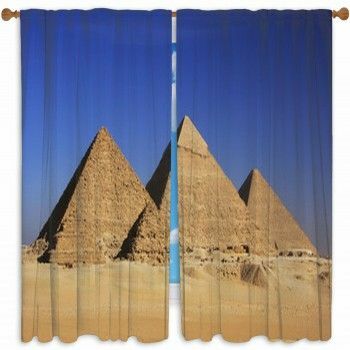 You can also add text in both English and French (or any other language) to personalize your window curtains.